There is no cure for migraines. This means that adapting to life with migraines and learning how to cope may be the determining factors for your quality of life. While different strategies work for different people, the following are some general tips on how to navigate life with migraines. Having migraines means you are more likely to suffer from anxiety or depression than people who don't have migraines. The relationship works in two ways. In some cases, anxiety and depression are symptoms and develop as a result of shouldering the burden of constant migraine attacks. In other cases, these mental health issues are present before the migraines start. Anxiety and depression can worsen migraine attacks and vice versa, acting as a vicious cycle. Understanding the battle with these mental health issues can be the first step to getting them under control. The second step is knowing when to seek professional help to assist you in dealing with them. Seeing a psychologist who specializes in headaches and migraines can help you cope with your migraines better. The psychologist may approach your treatment using Cognitive Behavioral Therapy (CBT), a form of psychotherapy that research has shown to be effective in dealing with anxiety and depression. Even if you don't have any anxiety or depression, dealing with the constant pain of migraines can generally be tough on the mind—CBT can help with that, too. Obesity can worsen migraine attacks and make them more frequent, and exercising—in addition to eating healthily—can help you lose weight and/or maintain a healthy weight. Warming up before exercising is necessary since exercising vigorously or too suddenly can trigger a migraine attack. It is best that you always start out slowly, stay hydrated throughout, and not engage in overly intensive workouts. Make sure to run through the types of exercises you want to do with your doctor, just in case. He/she will be in the best position to tell you which kinds are best for you. In general, simple exercises like walking, swimming, and cycling are safe. Diet plays a huge role in the management of migraines. Certain foods trigger migraine attacks, so you should learn to identify which foods do this for you. That way you can avoid them and find suitable alternatives for the nutrients they provide. For example, alcohol, chocolate, sweeteners, and aged cheese are some of the foods that have been reported to trigger attacks, and you should avoid eating them if you've noticed they do the same for you, too. It can be difficult, however, to identify which foods trigger your migraines—some trigger the headaches immediately while others take hours before they do. For this reason, you may want to keep a food diary, tracking all the foods drinks you consume and when you eat them. This will allow you to track, draw patterns, and more accurately identify what foods and drinks to avoid. It’s also important that you don't skip meals. Hunger has been known to trigger migraine attacks and worsen them. It's advisable to eat small meals frequently and at regular intervals. Be sure to check with your doctor for the best advice for you. Caffeine has been known to help treat migraine headaches and the pain that goes along with them. However, you should be careful with how much you consume. Too much can have the opposite effect and end up causing "rebound" headaches and other health problems. Speak to your doctor about the optimum amount of caffeine you should consume daily. Since weight is linked to migraine attacks and their severity, maintaining a healthy weight is very important. You can do this by making sure your diet is healthy and well balanced, containing all the necessary vitamins and nutrients. There are some supplements and herbs that can supposedly help prevent migraines or improve your symptoms that you can explore. Some of them are vitamin B2, magnesium, and feverfew. However, you should be very careful about using them as some can have side effects or negative interactions with your medication. Discuss with your doctor any supplement or herb you are interested in to help you cope with your migraines. Living with chronic migraines can affect your social life. It's easy for non-sufferers to assume that the effects of migraines don’t extend beyond the attacks, especially if they are not informed about the condition. Explaining how you feel and recounting your experiences to your friends and loved ones can help them better understand the condition and empathize better. It’ll also allow them to offer you support in the specific ways that you need it. Speak to your family and friends about planning events, activities, and gatherings that are suitable for your condition. That is, they must not be stressful, they must not be too strenuous, and they must be free from environmental factors that can trigger an attack. It may seem like you’re asking for a lot, but you really aren't. Your loved ones should not mind accommodating and adjusting where possible to ensure that you’re comfortable and happy. Letting them know you suffer from migraines will also make them aware as to why you simply cannot attend some social activities or events. You can join online and community support groups for people with migraines to help you adjust better to changes in your social life you may have to make. Sometimes, it’s just great to be able to talk to and share advice with people going through similar experiences. There are steps you can take on a daily basis if you suffer from frequent migraines that can eventually make coping a bit easier, too. Keeping a migraine diary is highly advisable. It will assist your doctor in making a definitive diagnosis for you and help you recognize and understand your triggers. Keeping the diary also means you and your doctor will be able to assess if the treatments—whether medication or other alternative therapies—you are using are effective. The list of things to record in your migraine diary can seem overwhelming, so it’s okay to take it step by step. Pick out the most important items, such as when the migraines start and how long they last. You can add more items as time goes on and you’ve gotten used to writing things down regularly. Having migraines is probably going to affect your work life in some way. You should notify your employer about it for many reasons. For one, if your job is sensitive and requires a lot of concentration or precision, a migraine attack can prevent you from performing well. Secondly, about a quarter of people suffering from migraines miss a day or two of work every year due to attacks. In fact, about 31 percent of women report missing at least six days of work every year because of the condition. If your employer is aware that you are dealing with migraines, it will make it easier for you to take time off work should you need to. It might help to keep your employer up to date about your migraines—if they’re getting worse or better—as well as any new medications you start if they can affect your concentration or job performance. Stress is one of the main triggers of migraine attacks, and a workplace is often stressful. Now more than ever, you have to take active steps in reducing your stress at work. Find out your company's policies and benefit offerings, especially as it relates to managing stress. It could be something as simple as offering gym memberships or having a meditation room. Some workplaces also offer to pay for psychotherapy or make therapists available on site. In many cases migraines are chronic, meaning you may be dealing with it for the rest of your life. You may have to be on medication permanently or semi-permanently, especially for the pain. In the long-term, this can be expensive. You may be entitled to social security benefits that can help offset some of the costs of migraine medications. Be sure to speak with your doctor and/or attorney. 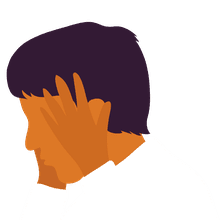 Dizziness, visual impairment, and difficulty concentrating are some of the symptoms that can accompany migraine attacks. Further, some medications can impair your ability to drive. If you reasonably suspect that your migraines can render you a danger to the public while driving, you should notify your local driving authority immediately. However, if your attacks are less frequent and your doctor has approved it, you can drive safely. If you happen to experience an attack while driving, you should immediately park and wait for the attack to subside completely before continuing to drive. Attacks can sometimes take several hours to subside, so you may actually need to call a friend or family member to drive you back home. Coping and managing. The Migraine Trust. Headaches | Anxiety and Depression Association of America, ADAA. Adaa.org. Migraine and Diet. American Migraine Foundation. Obesity and Migraine. American Migraine Foundation.